The Cambridge History of Australia offers a comprehensive view of Australian history from its pre-European origins to the present day. Over two volumes, this major work of reference tells the nation’s social, political and cultural story. 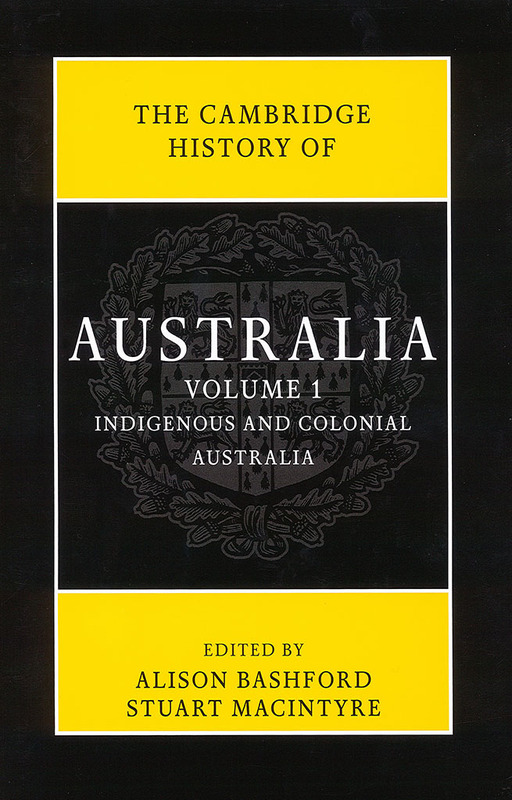 Volume 1 examines Australia’s indigenous and colonial history through to the Federation of the colonies in 1901. Volume 2 opens with the birth of the twentieth century, tracing developments in the nation through to the present day. Each volume is divided into two parts. The first part offers a chronological treatment of the period, while the second examines the period in light of key themes, such as law, religion, the economy and the environment. Both volumes feature detailed maps, chronologies and lists of further reading. This is a lively and systematic account of Australia’s history, incorporating the work of more than sixty leading historians. It is the ideal work of reference for students, scholars and general readers.